Before you vote, read their answers. Chicago mayoral candidates Lori Lightfoot and Toni Preckwinkle both call themselves “progressive,” and they agree on many issues. So how do you decide who to vote for? To help you out, WBEZ reporters and editors sent the candidates yes or no questions about critical issues facing Chicago (and a fun one!). These questions were sent to 13 candidates in the Feb. 26 election. With a runoff election set for April 2, we’re highlighting the responses only from Preckwinkle and Lightfoot. You can click on them to read their more detailed explanations. Responses marked with a [...] indicate the candidate didn’t directly answer yes or no, but may have provided a written explanation. Responses were edited for typos, but not substance. Lightfoot most recently worked as a partner at the law firm Mayer Brown LLP, and is a former federal prosecutor. 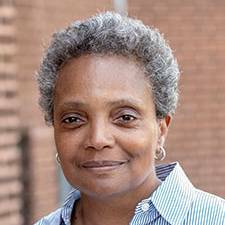 She also held jobs under Chicago mayors Richard M. Daley and Rahm Emanuel, most recently as head of the Chicago Police Board. 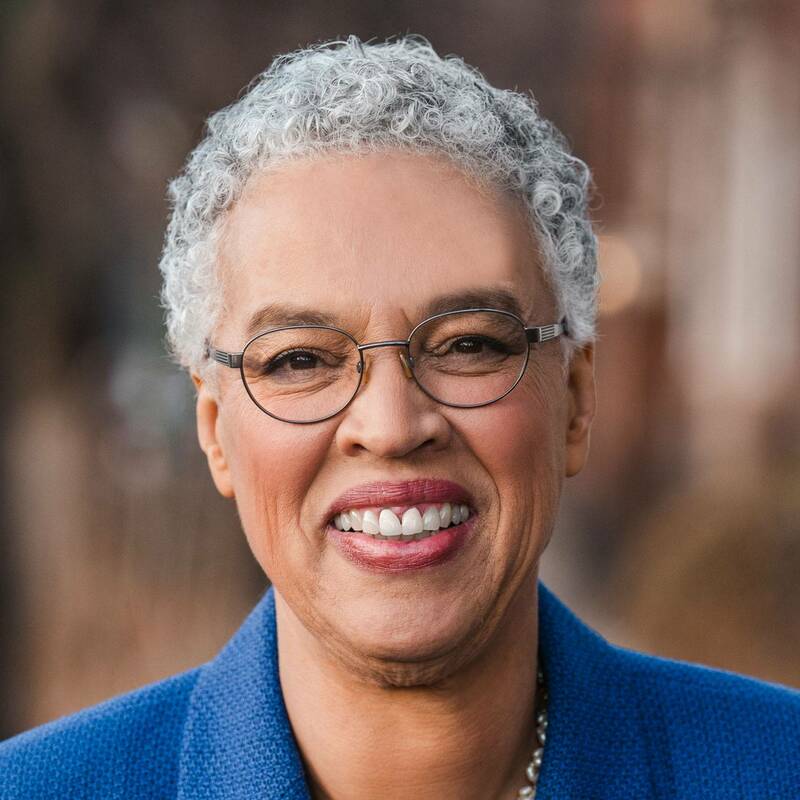 A former teacher, Preckwinkle has served as Cook County Board president since 2010. Before that, she served was an alderman of her South Side ward for nearly 20 years. Preckwinkle also chairs the Cook County Democratic Party. Aldermanic power Cutting pension benefits Obama Presidential Center "Sweepstakes" gaming machines Tax on asset exchanges Ride share fees Anonymous complaints against police Police hiring Social workers in criminal justice A casino in Chicago Income-based city tax Vehicle ticketing reform Diversity and mayoral appointments Elected school board Zoning Affordable housing New public housing CHA housing vouchers Lead pipe replacement "The Fun Question"
Chicago aldermen enjoy unwritten, unilateral power to influence zoning and development decisions in their wards. Will you work to end this so-called "aldermanic prerogative" in favor of a holistic approach to citywide development? Tax hikes are often discussed as a solution to Chicago's under-funded pension crisis. Will you explore cutting benefits for current and/or future workers and retirees in order to lower the city's pension obligations? Will you support a binding community benefits agreement for the Obama Presidential Center? So-called "sweepstakes" machines function like legal video gambling, but are unregulated. Will you support a ban on sweepstakes machines in Chicago? Will you work to raise fees on ride-shares, like Uber and Lyft, to fund CTA improvements? Chicagoans are not currently allowed to make anonymous complaints against police officers. Will you work to change that policy? Will you work to hire more police detectives to reduce violence and increase Chicago's low homicide clearance rate? Will you work to hire social workers to respond to police calls involving mental health episodes? Will you lobby state legislators to allow a city-run casino in Chicago? Will you support the creation of an income-based city tax, either on Chicagoans or commuters? Chicago's vehicle ticketing and enforcement system disproportionately affects people of color. Will you make changes to the system, even if it means less revenue for the city? Chicago's mayor has the ability to make dozens of appointments to influential public boards and commissions. Do you commit to making appointments that mirror Chicago's diverse demographics? The mayor currently appoints Chicago Public Schools CEO and each member of the school board. Will you lobby state legislators to pass a law allowing Chicago voters to elect school board members? Will you support eliminating the single-family home zoning designation, which disallows multi-unit homes in parts of the city, as a way to reduce housing segregation? Will you force developers of new projects to build affordable housing units in gentrifying communities where long-time residents are being displaced? Will you commit to building public housing replacement units and affordable units on vacant CHA land where demolished high-rises once stood? Will you expand the number of CHA housing vouchers that allow renters to find homes in neighborhoods that aren't racially and economically segregated? Chicago has more lead service lines than any big city in the U.S. Will you use city money to help residents replace lead pipes that carry water to their homes? If you could exercise executive power in one of the following fictional worlds (Pawnee Ind. in Parks and Recreation, Wakanda in Black Panther, Washington D.C. in Scandal, a galaxy far, far away in Star Wars, or another place), which would you choose and why? Development and design by Paula Friedrich. Candidate images courtesy of campaigns. The Rundown is a daily newsletter that distills the five biggest stories of the day—local, national, and international—into one quick email you'll get weekdays at 4 p.m.